Is Psychokinesis real? Is Telekinesis real? Is it really possible to control and manipulate external surrounding things by just using your mind? These are all the age-long questions have been asked by many. Psychokinesis is a pseudoscience in which the core belief is “mind over matter;” the mind holds more power than the body . This statement is taken literally, and psychokineticists use the power of the mind to manipulate energies, events, or nature in many forms. Many people believe that, through the power of the mind, a person can influence the environment, and Jack Houck, an aerospace engineer, is a firm promulgator of that belief. Another person who claim to have such powers is Uri Geller. He is a psychokinetic person who is famous for bending spoons. Though many people like this, shown their psychokinesis powers, most stage magicians, scientist and skeptics claim that “mind over matter” is simply impossible and claim that the ability to do so is covered by trickery. James Randi, a well know skeptic of all paranormal things even claim to give a cash prize of One Million Dollars for those who prove their psychokinesis abilities under certain conditions. Whatever it is, it is still not confirmed whether the powers are real or not. 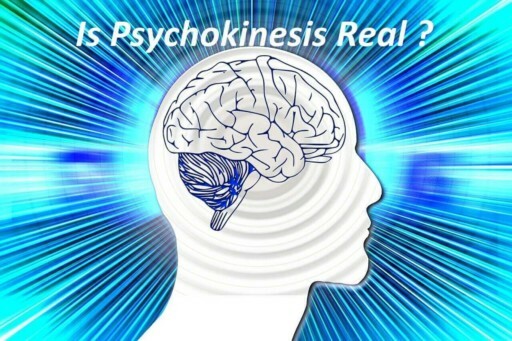 If you ask me personally whether psychokinesis is real or not, I say, it is real and possible, but only few can achieve it with tremendous effort and focus and years of practice. Our minds are capable of many great things which cannot be proved scientifically. It is believed that the performance of psychokinesis will be successful if the performer as well as the observer have a profound belief in that. If we have one person in the experiment who thinks that it is all rubbish, then the performance will be ruined. Skeptics say that this is a ridiculous argument to defend oneself. But, if we think about it, this is really a logic. As these experiments are intention-based, people intentions do change the outcome of the experiments. Most of the experiments fail because the performer were given very few chances to prove himself as psychokinesis, especially in the experiments done by Randi. One more reason that science is not accepting this phenomena is due to failure of results in repeated experiments. The science will believe only if one could prove this ability on continuous basis. There are some experiments and research on psychokinesis to prove that psychokinesis exist. To begin with, here are some experiments from which you can decide whether psychokinesis is real or not. “Ingo Swann” is the one individual who has proven himself to be successful in the field of micro-PK and tested very positively. He was instructed to show his skills on a magnetometer. One experiment goes like this – a well shielded magnetometer had a small magnetic probe in a vault five feet beneath the floor. The probe had been oscillating for about an hour and tracing a patterns on a chart recorder. Ingo Swann was asked to affect the magnetometer’s magnetic field. It was strongly shielded by mu metal magnetic shield and also with a superconducting metal shield, the most effective type shield known. Then Swann focussed on the interior of the magnetometer, but he said he was getting nothing. But it was found that, after about a five seconds delay, the frequency of oscillation was doubled for about thirty seconds. The chart recorder returned to normal when Swann was tired and made it to let go. Another individual who attempted to prove the existence of psychokinesis was Helmut Schmidt, a physicist. He done an experiment using a device called “Random Number Generator” (RNG). Now-a-days, a large number of PK experiments were reported successful using this method. In one typical PK experiment, RNG produces a sequence of 100 binary events displayed as a sequence of 100 red light ( a 0-bit) and 100 green light(a 1-bit) flashes. The subject is then instructed to influence the appearance of more red than green flashes or vice versa. The sequence of red and green flashes were recorded in a floppy disk and a total score was then measured by the difference of the red and green flashes. The first known experiment is the experiment done by J.B. Rhine by using a dice. With this experiment, it was observed that the performer was able to predict the outcomes successfully during initial stages but unsuccessful in later stages as the experiment was done. It was believed that this is due to the interest lost by the performer in later stages. Anyhow, with subsequent work with improved methods and new ideas has confirmed the existence of PK. In later years, dice experiments were slowly replaced by a new approach called RNG, which described in the previous point. RNG experiments have many advantages like performing a quality research easily. There is an another evidence found in the experiments done by Dr Robert G. Jahn, who spent 25 years gathering large database that clearly states that psychokinesis is real. He founded the Princeton Engineering Anomalies Research (PEAR) laboratory, which has conducted several experiments under certain controlled conditions to measure the power of mind. PEAR lab has engaged mostly on conscious related physical anomalies. The Pear engineers were exploring whether or not the human mind, alone was capable of affecting the results. In these experiments, human operators attempted to incline the output data on number of mechanical, fluid, dynamical and optical apparatus without any physical influence. Left unattended, these devices shown strictly random data but in experimental results shown information that can be attributed to the human intentions. 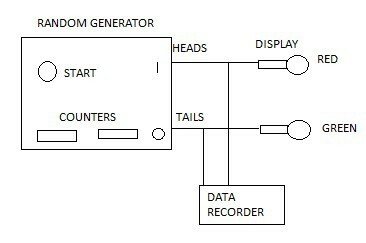 In one experiment, they used a device called Random Mechanical cascade (RMC). This machine allows 9000 polystyrene balls to drop through a matrix of 330 pegs, scattering them into 19 collecting bins. As these balls enter the bins, the exact counts are accumulated photo-electrically, recorded and shown as feedback for the operator. Then the subjects are asked to concentrate and shift the mean of the developing distribution balls either right or left, relative to a concurrently developing baseline distribution. Thousands upon thousands of this experiment done by 25 operators and the results are significantly beyond chance. Global Consciousness : The Global Consciousness Project, also called the EGG Project, is an international, multidisciplinary approach by scientists, engineers, artists, and others. Data has been collected from a global network of physical random number generators that were located all over the world. The purpose of this experiment is to measure the differences that may show globally in relation to consciousness. It was shown that when millions of people share intentions and emotions, the EGG data has shown a meaningful inclination from expected results. One last example I can say about is Buddhist Monks in Tibet. Research found that they believe to have mastered certain abilities such as warming their bodies in extremely cold conditions with the power of their mind. Parapsychologists are attempting to collect experimental evidence for years and though plenty of knowledge has been gathered, parapsychology still appears to be sorted within the class of fantasy to the general public. Psychokinetic phenomena is accepted by majority of scientific community and the general public. The effect of distance between the subject and the object is still questionable. The spatial effect has still to be studied to get conclusive results whether it has any effect on PK. The size of the object has little or no effect of PK results but the mass of the object must be considered.The greater the mass the lesser the object moves. The number of PK subjects to influence the target has assumed to be no effect in the results. One subject concentrating on the target will give almost same results when concentrated by more than one subject. The survey also suggested that PK can be utilised in the warfare applications and is an effective military weapon. But, they concluded by saying that PK cannot be used at present due to some factors. Cannot be effected at will with constancy. Time required to effect the target is unknown. The effect of surrounding psychological influence on Pk subject is not determined. Absence of a technique to determine how much capacity does the PK subject have. The most important thing is the environment in which the subject has to work. It was observed that Pk subject can effect the target in the laboratory locations where he is undisturbed. This cannot be found in the warfare locations. Even though these factors prevent the use of Psychokinesis in warfare, the survey did not rule out the potential use of PK in future. So, if experiments like these come up and show that consciousness has a direct effect on our physical material world, then there comes one point in the future where the researchers take a serious step to prove that telekinesis or psychokinesis is a real phenomenon.